For every researchers, it is very important to draft his/her research experience in effective way on paper. Skilled research writing is a very important parameter of success for any researcher. Effective Ways to Improve Your Research Writing Skill. This can be more difficult for new and non-native English speakers. Non-native English speaker faces such problem many times, either they are new researcher or experienced. It is very important to draft research work with accuracy and connectivity. Sometimes, non -native English person fail to arrange word to represent exactly what they want to say. It is also very common in their research paper comment about English or grammar correction. Such kind of comment is more obvious for new researchers. In this modern research time, many things are change. We have many resources, which can ease our research life, like easy availability of research content, number of software tools etc.. Here, we will discuss some effective way which can improve your research writing skill. Microsoft word – Microsoft word is basic elemental software resource to draft your research in writing. Word have also elementary grammar checking tools, which can help you to avoid basic mistakes. Almost, we all are much aware to use of word. It can help you to improve your basic writing skill. 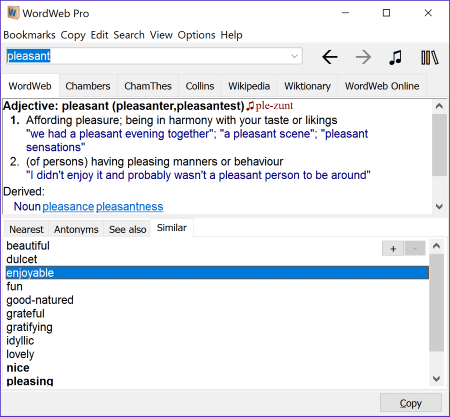 You can use spell check and synonyms features of word to improve your grammar and remove plagiarism. and antonyms bla.. bla.. bla.. It also helps to check pronunciation in terms of audio and visual way. This tool can ease your research writing life in good content. It can improve your readable and audible pronunciations. This application tool also gives web reference for online related extensive search. This tool can give you handy and quick option for cross check about word. Grammarly – To create a great research content is always fear factor of many researchers. A non-native and early researchers are always struggling with grammar, wording, and spelling for creating research content. Also fluent or experienced also face problem in vocabulary, grammar, spelling, and other ‘technical’ aspects. Sliest human error like stray, comma and misspelled world is obvious for everyone. As a non-native English speaker like me can face these grammar mistakes more apparent during writing. In the early stage of my research carrier, this slows my writing speed and I need to give more and more focus on these mistakes. Use of Grammarly can improve your speed, efficiency in great extent. Use of free version Grammarly is also impressively with some limitations. Grammarly is a highly advanced grammar and spelling checker full-fledged tool, which can integrate with many writing platforms (online, word etc.). It can easily detect perceive grammar errors and suggests correction with description. Grammarly is not only correct misspelling and common error. It sensitively catches commonly confusing words or full line which is not possible in other traditional spell checkers. Following chart give you understanding of different Grammarly features. Grammarly is also a sophisticated tool to check wordiness, incorrect modifier use, incorrect article use, passive voice, and other grammatical faults and concerns. It also offers to enhance your Vocabulary treasure by giving synonyms suggestions. Grammarly offers suggestion and after your acceptance by clicking, can enhance your writing skill significantly. This high end tool gives both free and premium service. From below chart you can easily understand the difference between them. We highly recommend to use of Grammarly. For every researcher, we suggest at least use free version of Grammarly, since it also offer many cool features. Use of premium Grammarly also offer cost-effective pricing. You can use Pro account as annual plan for $11.66 per month. This premium plan gives deeper look to express your research content impressively. You should definitely use its free plan. For everyone, it is not easy to invest this much money (however it is cost-effective) for single user. But, if you want to use its full feature then you can request to your research guide to take its premium plan under research funding. it will emphatically help your research writing skill. The great feature of Grammarly is that it is highly effective to check plagiarism in your research content. Or also, you can share cost with friend on monthly /quarterly/annual basis and you can enjoy its full feature, that will not effect your pocket anyway. It can also help you for writing research proposal, cover letter, research paper etc.. If you use above mention writing tools then please tell your experiences with us. Also, Share your view of Grammarly with us. Let us know your thought in the comments box below!